Actually, I looking quite a long time for MacBook 13' Cover Bag since I bought the MacBook Air. 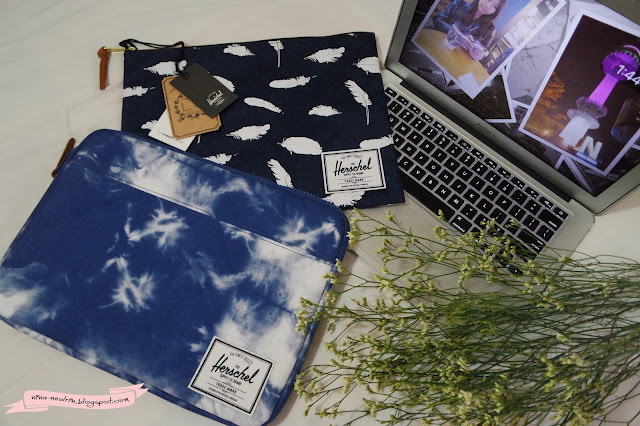 Lucky, during me travelling to Seoul on August 2015, I found the brand Herschel Anchor Sleeve 13' inch for MacBook Air/Pro. Once, I found it. I was so happy and I fall in love with this design. Its design looks simple, smart and the most important is a nice fit on my MacBook Air 13' inch. I choose the design of cloud. Now, I can carry my MacBook anywhere with it. [Book] Travelog Nina Enany 2016 + 2017! [Journal] Blog Nina Neulrin comes Year 4! [Lifestyle] Happy New Year, 2016!